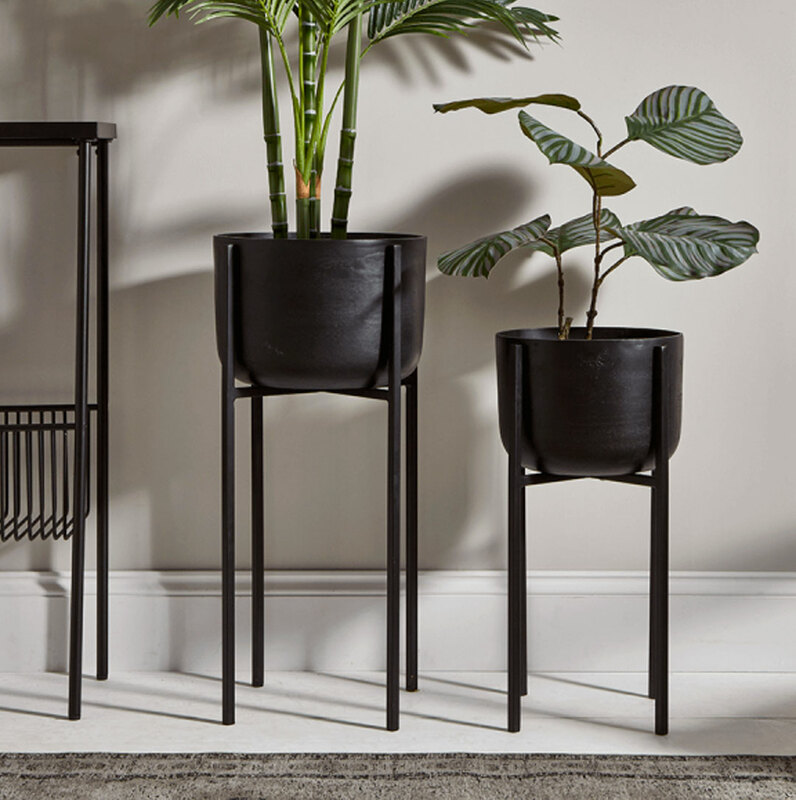 We have curated our favourite top 10 interior design home trends for Autumn / Winter 2018 to give you inspiration to update your rooms with the seasonal trends. An updated accessory can keep your home modern and stylish. A continuation from last year, the tropical trend is still going strong. It has moved on slightly this year and the focus is all about mixing plenty of lush, energising greens to create the look. 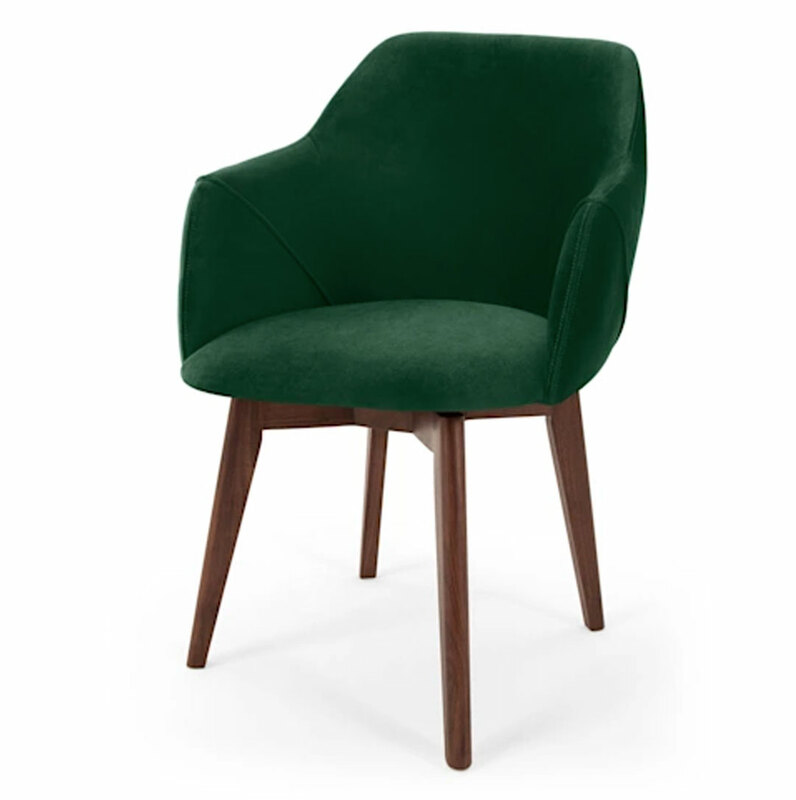 Rich shades of green look striking against on-trend darker furniture choices. Look out for key elements to help to create this look in your home. 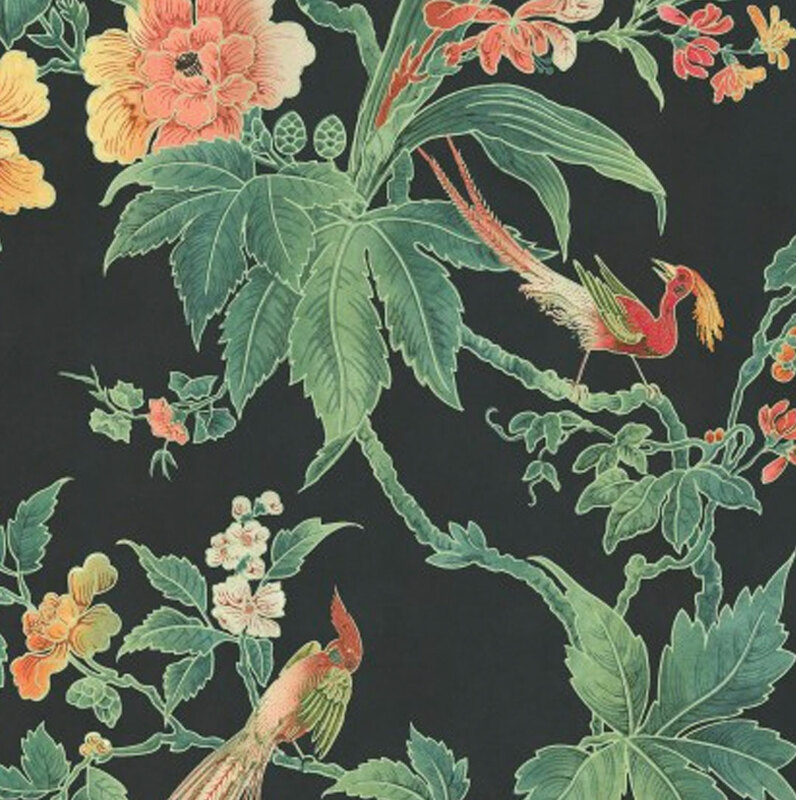 Think large-scale leaf prints, oversized insects, safari wildlife, blousy floral designs and exotic birds. 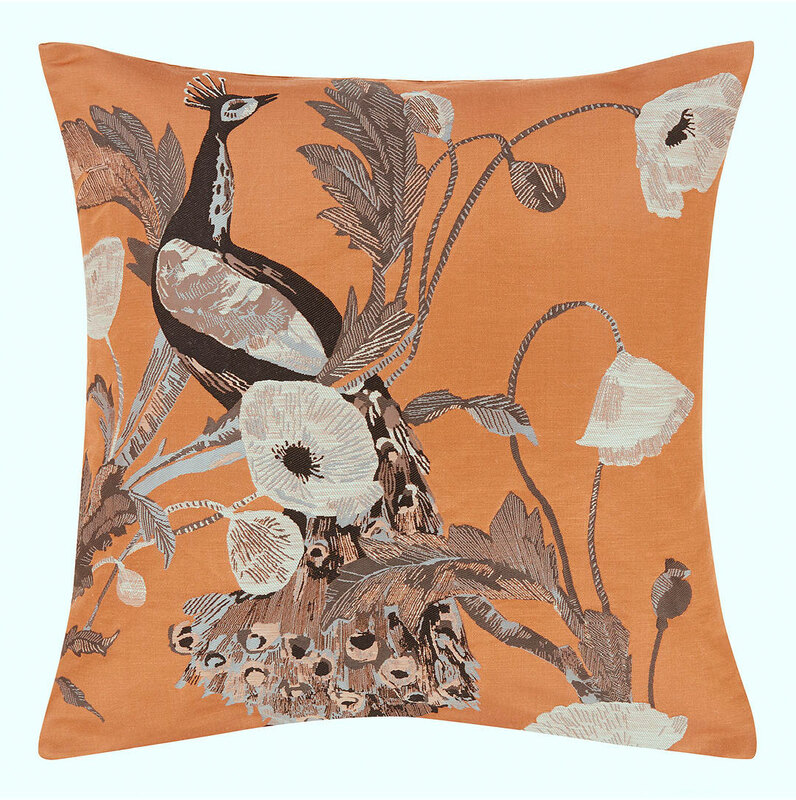 You’ll find them on cushions, bedding, wallpapers and smaller scale accessories such as towels. Keep the rest of the look simple, so the print becomes the star. To complete the look, pick out key accent colours to accessorise with. 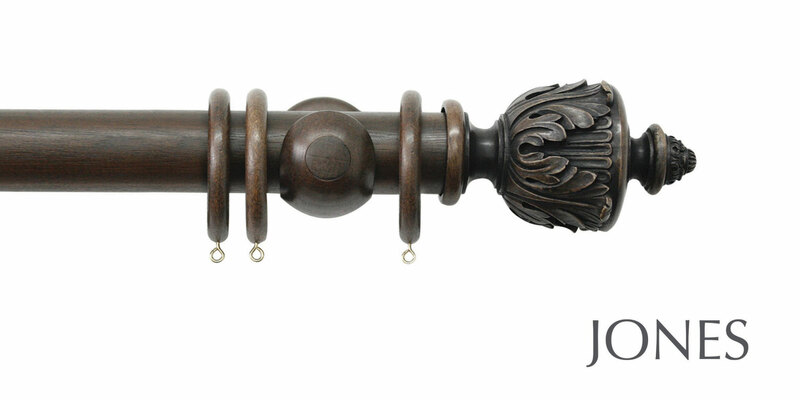 The opulent acanthus finial design in the Jones Florentine wooden curtain pole range complements this trend beautifully, and works especially well in the oak reflecting the trend for dark woods. 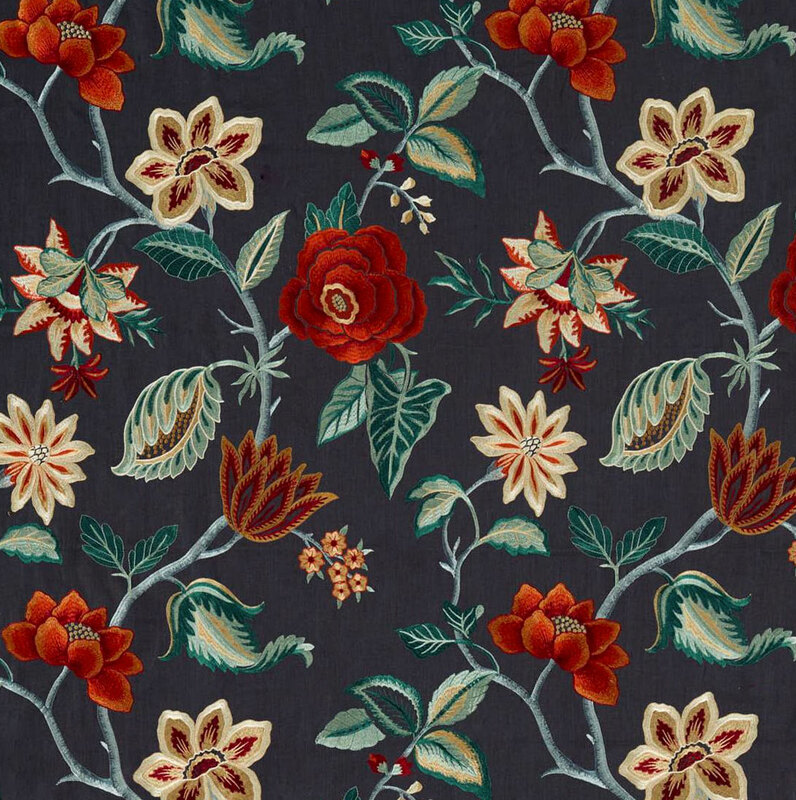 We also love this Anjolie De Novo fabric design by Zoffany. Please email sales@thehomeofinteriors if you would like a quotation for fabric. Floral wallpaper from the Little Greene, Java Cushion in Paprika from John Lewis, green velvet Lule Office Chair from made.com and these black standing planters from Cox & Cox.